It's still cold here. Like really, really, it's unfair and I'm bitter about it, really cold here. 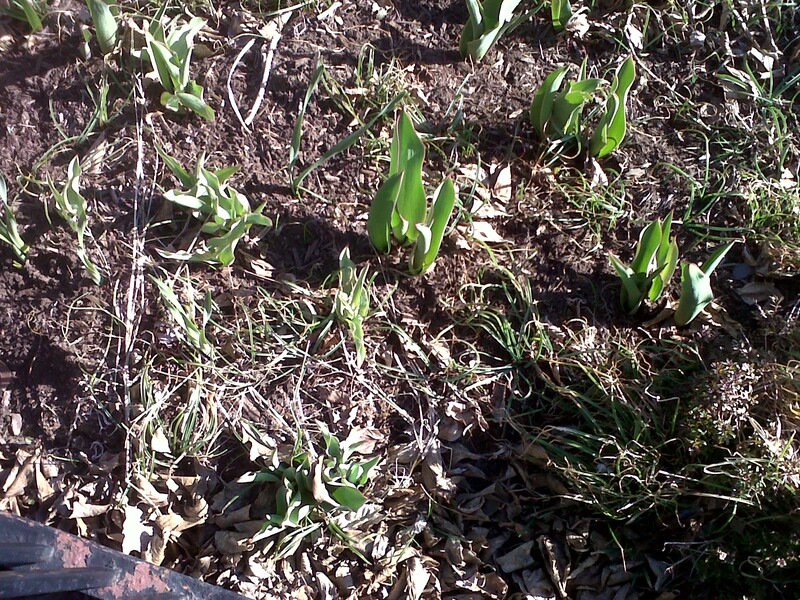 But there are signs that spring is coming, cold weather or not. The grass is starting to turn green. Sadie is now on the hunt for her favorite fresh spring sweet grass. 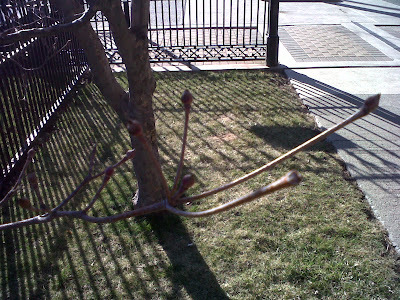 Tree buds are swelling. I know this is a terrible photo above but can you see the little buds that will soon be flowers? So exciting! 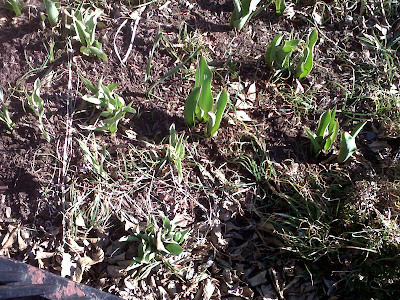 Tulips and daffodils are starting to make their way to the surface! That's a real highlight for me. 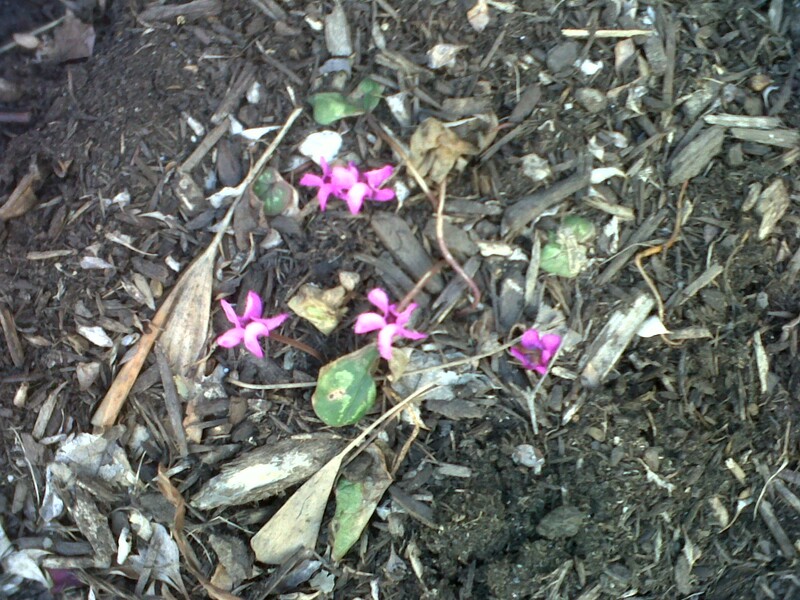 I just adore seeing the colorful bulbs flowering after a looooong, cooooold winter. And looky loo... actual color and signs of life blooming away in a tiny corner of a garden. The daffodils are almost done blooming here in Virginia, and we finally have red bud out on the trees. The most beautiful recent Spring arrival were the baby squirrels (aww!) 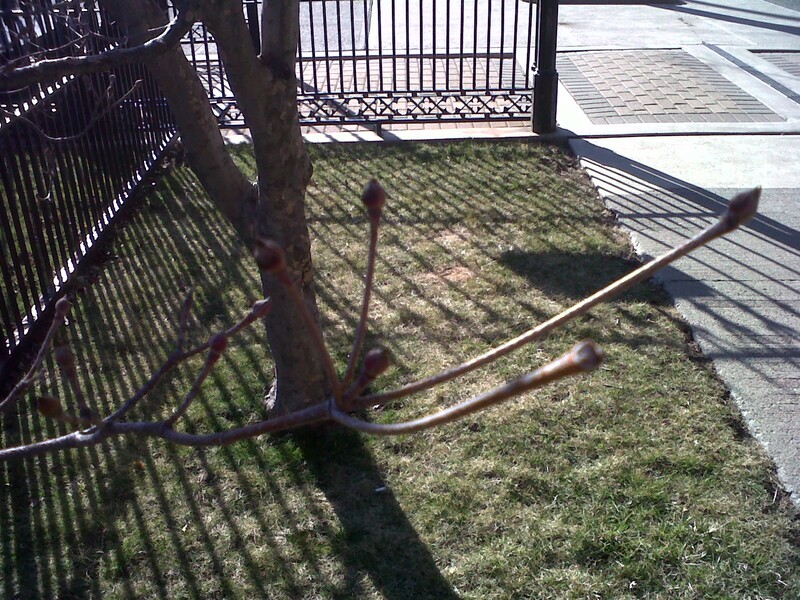 and dogwood blossoms and cherry blossoms, which happened about two weeks later than they normally occur.